Want to eat great pasture-raised and GMO Free meat but on a budget? Have a lot of mouths to feed? Just like a good deal? Our Bulk Buying Options are for you!! We offer 3 different bulk chicken options (called our Chicken CSA) and 2 bulk pork options. Sizes and pricing is available to fit every family and any budget. 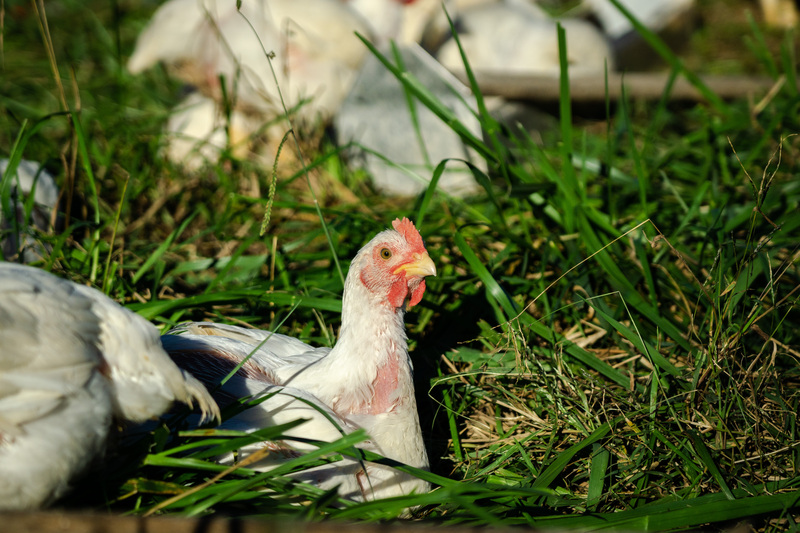 We offer three different Chicken CSA packages to meet the needs of every family and every budget. Our smallest package for those that eat a limited amount of chicken. With this package you’ll get four of our pasture-raised, GMO Free chickens at every pick up (16 chickens a year) at $4.80/lb. That’s 20% off our retail price! Total estimated price for a chicken a month at 20% off is $345.60. Our best deal! This package is for the family or individual that wants to eat a chicken every single week. The Large Chicken CSA Member gets 13 chickens every pick up for a total of 52 chickens a year. With the Large Chicken CSA you get a Dawnbreaker Farms pasture-raised, GMO Free chicken for only $4.20/LB! For those that want a chicken every other week. With this package you’ll get eight of our chickens every pick up for a total of 32 chickens a year. With 25% the Medium Chicken CSA you get a Dawnbreaker Farms pasture-raised, GMO Free chicken for only $4.50/LB! That’s 25% off our retail price! Annual estimated cost for the Medium Chicken CSA is $648. Every CSA works the same – basically you pay up front for the amount of chicken you will eat for the entire year and for making that commitment to us we give you a discount. A $200 deposit is due at sign up and then 25% of the remainder will be due at each of the four chicken CSA pick ups. IMPORTANT*** CSA pick up dates will happen ON FARM directly after the birds are processed and packaged. They will be extremely fresh. The four pick up dates are listed below in the Chicken CSA FAQ. Please note that the Chicken CSA is for whole chickens only. Chicken CSA discount is not to be used with Credibles or other discounts. Is this the same quality of pasture-raised GMO-Free chicken that I've come to know and trust from Dawnbreaker Farms? You bet! CSA Chickens come from the same non-GMO, free range chicken you’ve come to know and expect. You’ll get a discount over everyone else because you made the commitment to buy in bulk. Way to go, you! What if I want to get all my pre-ordered chicken all at once? Most people choose to space out their pick-ups throughout the year but if you’ve got the freezer space (or having a massive party) and want to get them all at once go for it! We only ask that you please communicate with us your intentions beforehand so that we can plan accordingly. How much do I pay per pick up? ​At the time of registration you will pay a $200 deposit. After the deposit you will pay 25% of the remaining balance at each pick up. A Small CSA package will pay an estimated $36.40 per pick up, a Medium CSA package will pay an estimated $112/pick up and the Large package will pay an estimated $195.70. Please note that you are paying a per pound price and the actual weight of the chicken will vary. These prices are just estimates and will change somewhat depending on the actual chickens we have available and that you choose. What if I only want chicken parts like breasts and thighs and don't want whole chickens? That’s absolutely fine, too. The Chicken CSA probably isn’t best for you but we do have the Credibles program which may be a better fit for your needs. With Credibles you pre-pay for any of our pasture-raised GMO free products and in return you get extra bonus credits to use at the farmer’s market, buying clubs or on farm pruchases. What are the four Chicken CSA pick up dates? At this point we don’t have our processing dates scheduled. We will have everything scheduled by mid-February and will announce them as soon as we know. How many chickens do I get per pick up? At each of our four pick ups you will get 25% of your subscription’s chickens. So the small CSA will get four chickens per pick up, the Medium will get 8 chickens per pick up and the large will get 13 chickens per pick up. How did you calculate the total for each CSA package? Doesn't every chicken have a unique weight? Great question! It’s true. Every chicken weighs different. What we did is we took our average size of 4.5 lbs as the baseline. This means that the actual price at each pick up will vary depending on the size chicken that we have available and that you choose. I already use Credibles. Can I combine by Credibles credits with the Chicken CSA? No, although we want to provide you the best value and convenience we do also have to run a profitable business. If we allowed Credibles points to be used for the Chicken CSA we would be selling our chicken at a loss. Gosh, your farm is really farm away. Can you just bring it to market for me? We get it, we live out in the boonies. But no. The discount is given to members because they make the extra effort to come to the farm. Buying freshly processed chicken reduces our labor and handling costs and thus we are able to pass the savings onto you, the CSA member. If you really don’t want to drive but want to support the farm another way we suggest you participate in our Credibles program. Why Sell Our Chickens For Less? 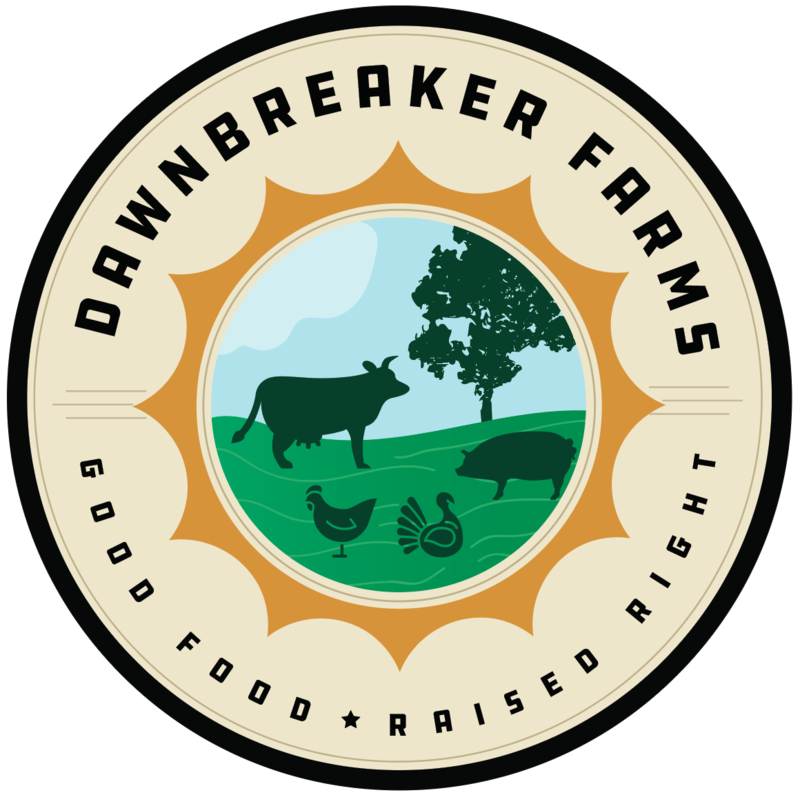 Dawnbreaker Farms whole and half hog options are a great option for those wanting a good deal on our all natural, GMO-Free, forest raised pork. Fill your freezer with the best food possible! With this package you will get a half hog for 20% off retail value! Perfect for the family that eats pork once a week. You’ll get approximately 85 lbs of GMO Free meat to take home at a great discount. Fill your freezer with the best!! Get our forest-raised non-GMO pork for 25% off retail value when you purchase this package. A whole hog is perfect for the family that eats pork a few times per week. You’ll get approximately 170 lbs of the best pork availble to take home at a great discount. By buying in bulk we can pass along efficiencies to you in the form of a BIG discount. You pay a convenient flat rate. No hidden costs or ambiguous price tags. A half hog is $680 for approximately 85 lbs of meat. A whole hog is $1250 for approximately 170 lbs of meat. To get started place an order here. After the deposit is made we will pack your order and arrange a time for pick up. The remainder minus the deposit will be due at pick up. Unless otherwise arranged the customer picks up the meat at the farm. We use a locally owned, federally inspected Slaughterhouse that is Animal Welfare Approved. You can learn about Acres Station Meat Farm here. By purchasing a whole hog from us you save on average 30% over our retail cuts! How much meat can I expect? With a half hog you will get approximately 85 lbs of meat. For a whole hog expect approximately 170 lbs of meat. How much freezer space will that take? A half hog will take up about 3.5 cubic feet of freezer space which is roughly equivalent to the top section of a top/bottom combo fridge. A whole hog will take up about 7 cubic feet of freezer space and will require a small stand alone freezer or a section of a stand alone freezer. There are some fridge/freezer combinations that have quite large freezer compartments. We recommend finding your freezer specifications before bringing home the meat. What kind of cuts can I expect from a half hog? What if I don't want to drive all the way out to pick up my meat? If you don’t want to drive to the farm to pick up your pork you can arrange with us to deliver the meat to a central location when and where it is convenient to us. But to avoid scheduling and improve efficiencies we really think it’s best that you come to the farm to pick up. Plus you’ll get to visit the farm and we can show you the other happy pigs while you are here! To a certain extent, yes. For example when you purchase a half hog you get to choose exactly what kind of sausage comes in your box. You can also choose if you want the heart, liver, head, tail and feet. Another example – if you are a big fan of sausage we can swap out some cuts so you get more sausage. But part of the joy of a bulk pork purchase is experiencing the entire pig from head to tail. If you have a custom request do please let us know and we will do our best to accommodate. What kind of sausage do I get? Plain speak - How much does pork from a half or whole hog cost? A half hog will cost $680 flat. With 85 lbs of meat that comes out to about $8/lb or 20% off retail prices. A half hog gets you 170 lbs of meat for $1250 at roughly $7.45/lb or 25% off our retail costs. Any way you slice it that’s a BIG savings! What's so good about your pork? 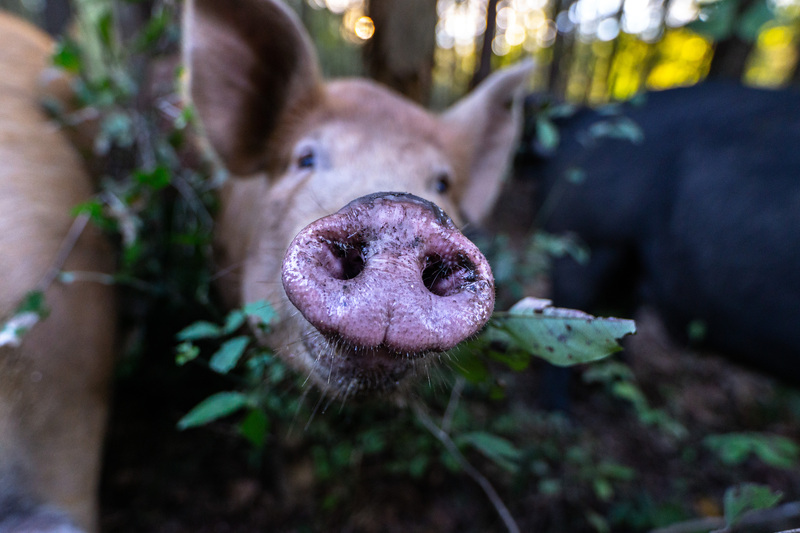 Our pigs are raised ethically, humanely and sustainably in the woods where they have free range to roam, root, wallow, play and forage. We rotate the herd regularly so that they are always on fresh land and have access to plentiful forage. We supplement our pigs with only non-gmo grain supplements. The diversity of foraged diets and inputs plus the incredible love and attention we give our pigs makes for the most flavorful and nutritious pork found anywhere. We know you’ll love our pork and our whole and half hog options. Please reserve your order here. This is great! How do I order? We are glad you think so! To order you can fill out this reservation form. You’ll pay a deposit and then we will be in touch shortly to arrange pick up and customize your box. Our whole and half hog options connect you to the farmer, to the land and to the pig. Please read our FAQ to learn more information about buying a whole and half hog. Love to make stock? Do you drink and use bone broth regularly? Like to make big batches at a time and freeze or can it? Always want chicken and pork bones on hand to make stock? 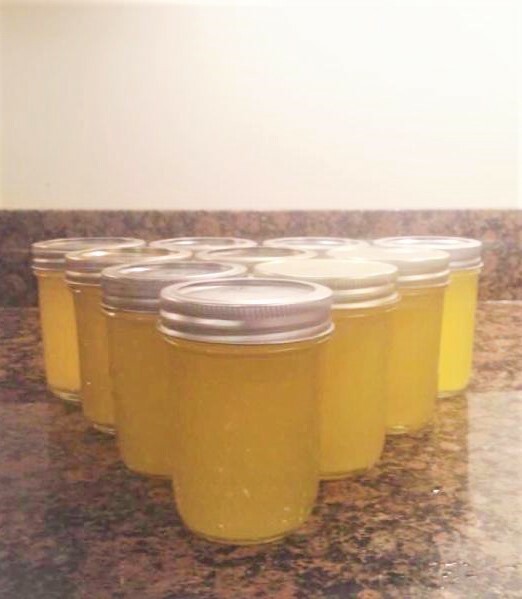 If so than our bulk bone broth program is the right fit for you! Buy 10 or more lbs and receive 10% off our retail price. Buy 20 or more lbs and receive 20% off our retail price. Buy 30 or more lbs and receive 30% off our retail price. Pricing and discounts apply to both chicken backs and pork neck bones and seasonally to turkey backs. Discounts do not apply to feet. We really honor our relationships with our loyal customers and Bulk Buying is a way we can give back to you all for helping us live out our dream of healing the land with our sustainably raised meat. In an age of agricultural disconnect this is a great opportunity to build a mutually beneficial relationship between farmer and eater.